2016 Pavtube Video Converter Ultimate Black Friday 50% OFF promotion – Crazy!!! Black Friday is the biggest and busiest online shopping days of the Year, as expressed by Ellen Davis in a Shop.org press release. For most consumers, the ultimate goal of such holidays is shopping while getting bang for the buck. However, customers will likely be deceived since the “bargains” provided by certain vendors are faked by revising the original price incrementally. Luckily, Pavtube Video Converter Ultimate officially gives you crazy 50% off promotion on for Black Friday from Nov.23 2016 to Nov 30 2016. You can go to our Pavtube Black Friday Facebook promotion Special Offer to know more. Pricing and Availability: As a bargain around Black Frida, Pavtube Video Converter Ultimate 2016 Black Friday Gift for one PC is available at $32.5 only, saving 50% totally. Pavtube Video Converter Ultimate – 250+ formats, 6X faster speed, zero quality loss, all-in-one video and DVD/Blu-ray solution! Disc: Blu-ray, DVD disc and folder. Video: MP4, AVI, MPEG-2, H.265, H.264, XAVC, XAVC S, XAVC L, MOV, MXF, FLV, MKV, VOB, MTS/M2TS/TS, VC-1, DV, WMV, ASF, 3GP, 3G2, RM, WTV, NUT, NSV, etc. Audio: MP3, M4A, AAC, AC3, FLAC, OGG, WMA, APE, Sun AU, AIFF, etc. Common Video: MP4, AVI, MKV, MOV, MPG, WMV, TS, etc. HD video formats: MP4, AVI, WMV, MOV, MKV, FLV, ASF, M4V, MPEG-1, MPEG-2, WebM, etc. 4K video formats: 4K MP4, 4K MKV, HEVC MP4, HEVC MKV etc. Audio: MP3, AAC, AC3, OGG, WMA, M4A, SUN Audio, MKA, WAV, FLAC, AIFF, etc. The program also beneficially offer fully optimized presets format for mainstream devices such as iPhone, iPad, Android phone and tablet, TV, game consoles, etc. so it’s very easy for you to recognize the ones suit your device. There is no need to distinguish one format from others. Change output video codec, size, frame rate, bitrate and audio codec, sample rate, bitrates and channels for better display quality. And professional editing functions are provided to you: split, merge, trim, crop, add watermark, adjust video effect, edit audio and insert subtitles. Turn 2D or 3D videos into 3D with eye-popping 3D effect like Side by Side, Top and Bottom, Anaglyph. The dream of making 3D movies by your own to view on 3D glasses, VR headsets, 3D players, 3D projectors, etc. is realizable. Decode H.265/HEVC codec to H.264 for smooth playback, editing, streaming. Create the cutting-edge and high efficiency H.265/HEVC codec for delivering 4K video with splendid visual quality with much smaller file size. Do not want to wait an eternity to convert a single clip? 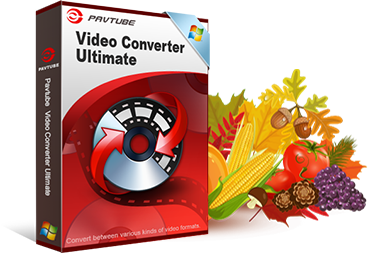 Pavtube Video Converter Ultimate surpasses other tradition video conversion application with 6x faster conversion speed. It is capable of accelerating the video encoding and decoding speed with the advanced NVIDIA CUDA technology and AMD Accelerated Parallel Processing (APP). Just save your precious time and energy for most important and amusing things in life. PS: Mac user please get Pavtube iMedia Converter for Mac and download or buy an get it to convert video/audio/DVD/Blu-ray on Mac (macOS Sierra, El Capitan Yosemite, Mavericks, Lion included). Conclusion: So powerful Black Friday Gift of Pavtube Video Converter Ultimate, why not drag down this page and find the suitable products for yourself with such big discount? Happy Black Friday!